Professor Cory is a distinguished Australian molecular biologist. She completed her BSc and MSc at the University of Melbourne and obtained her PhD from the MRC Laboratory of Molecular Biology (LMB) in Cambridge, England. She has been awarded Doctor of Science (Honoris Causa) degrees from the University of Sydney, University of Oxford and Rockefeller University and, in 2015, a Doctor of Laws (Honoris Causa) from the University of Melbourne. 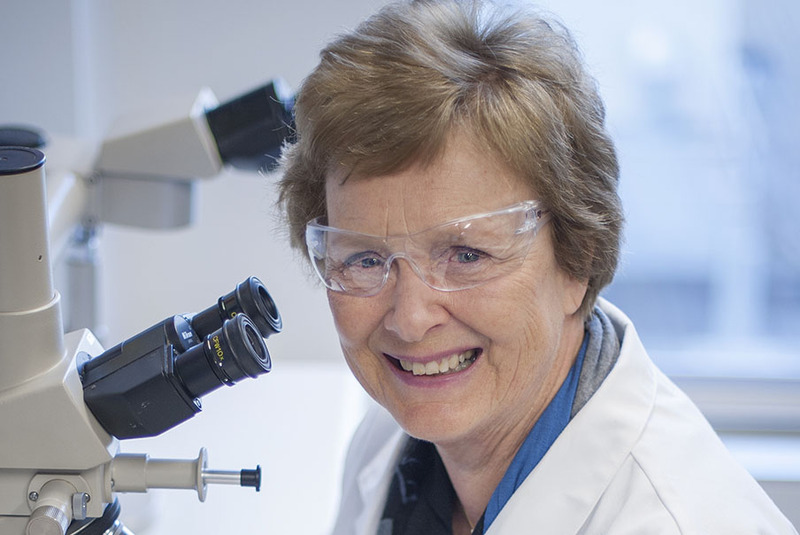 Professor Cory began her research career at the Walter and Eliza Hall Institute of Medical Research in 1971. After a decade of studying the genes of the immune system she switched her focus to the molecular genetics of cancer. Her current research focuses on the mechanism of cell death and how defects in this physiological process lead to cancer and resistance to therapy. Professor Cory was elected a Fellow of the Australian Academy of Science in 1986 and a Fellow of the Royal Society in 1992, receiving the Royal Society’s Royal Medal in 2002. She has also been elected to the US National Academy of Sciences, the French Academy of Sciences and the Japan Academy. Professor Cory was the Director of the Walter and Eliza Hall Institute from 1996 until 2009 and remains an Honorary Distinguished Professorial Fellow in its Molecular Genetics of Cancer Division. She was President of the Australian Academy of Science from 2010 to 2015, the first woman to be elected to this position, and Vice-Chancellor’s Fellow at the University of Melbourne from 2010 to 2015. In 1999, Professor Cory was named a Companion of the Order of Australia “for service to science as a leader in the field of biomedical research, to the advancement of the understanding of the molecular basis of cancer, and to the community as an advocate for improved science education in schools and universities”. In 2011 a selective entry secondary school was named in her honour. The Suzanne Cory High School is based in Werribee, Victoria.